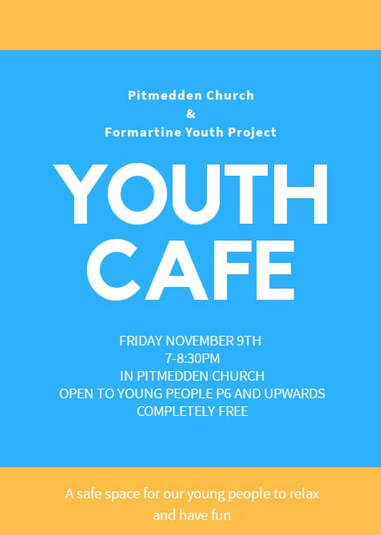 So after a bit of a break Pitmedden Church’s youth cafe is back! We have our first session THIS FRIDAY at 7 in the Church. It looks like we’re all set for a night of good fun with loads of games organised, and it looks like some of our team might be taking a group through some baking! We’re looking forward to seeing as many young people as possible, so if there’s someone you think might like to come along, let them know!